Under Construction – We are in the process of building a new and improved website. We’ll post a link to it here when we’re ready to share it with all of you. Thanks for your patience! 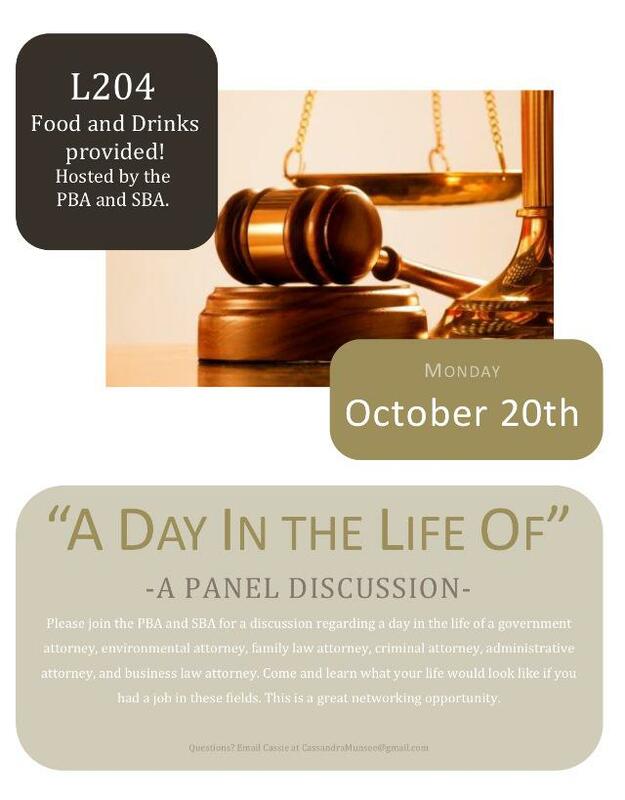 The event will be held from 6:00 p.m. to 7:00 p.m. in L204. 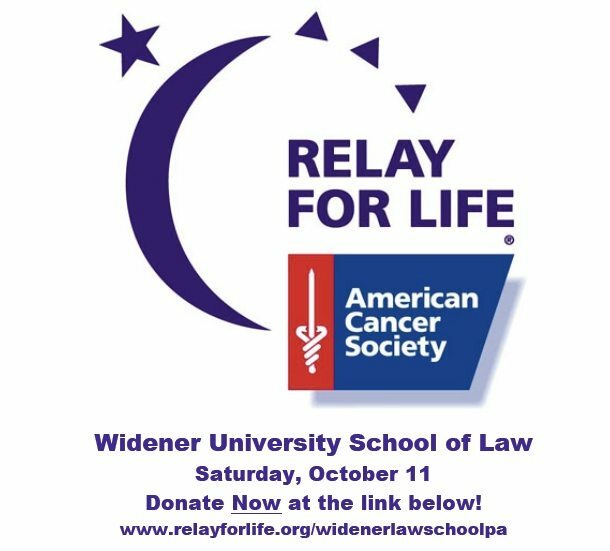 SBA would like to thank everyone who helped support Widener University School of Law’s 6th Annual Relay For Life. Through your contributions, we raised over $12,500! Thank you!! Relay for Life is just a day away. Help us reach our goal – Donate now! We’re almost at our goal! Click here to donate now! 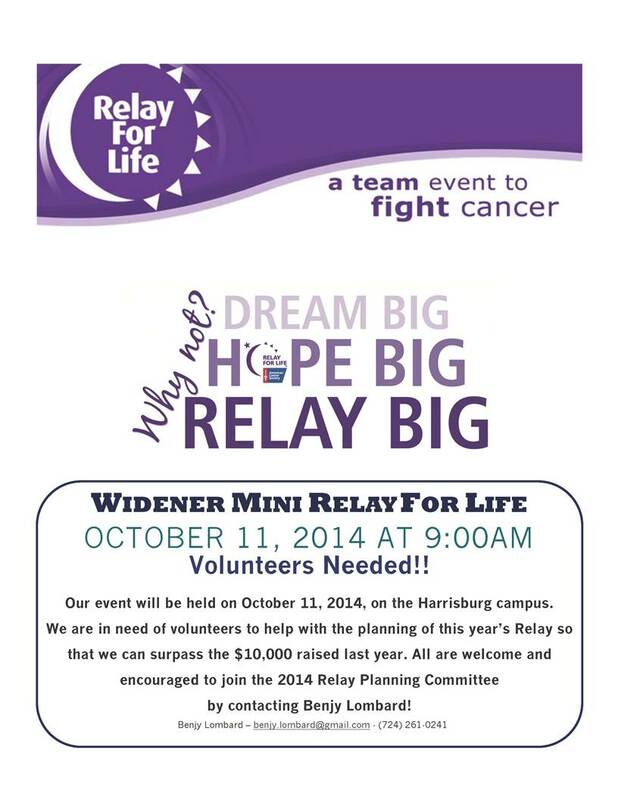 For more information please visit our Relay for Life website or email Benjy Lombard. The Dean’s Picnic is almost here! Bring your friends and family to the annual Dean’s Picnic! What: Food, beverages, music, kickball, sumo wrestling, bocce ball, can jam, corn hole, socializing with classmates, faculty, administrators, staff & more! The results of the Class Representative Election will also be announced. The Keurig coffee maker is back! Coffee addicts rejoice, the SBA has replaced the broken Keurig Coffee Maker! Stop by the vending area on the second floor of the library building and enjoy a cup of coffee on us! Enjoy a cup of coffee on the SBA!